Leitrim County Library Service provides a range of assistive and adaptive technologies to improve accessibility for library users. 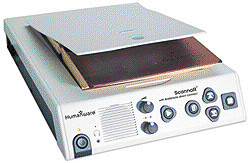 The ScannaR is a machine which translates text to speech - available in Ballinamore, Mohill, Manorhamilton and Drumshanbo libraries. My Reader enlarges text - available in Ballinamore, Mohill, Manorhamilton and Drumshanbo libraries. Jaws, Zoomtext and Kurzweil software is computer software - available in Manorhamilton and Carrick on Shannon Libraries. 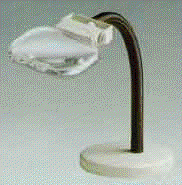 Gooseneck magnifiers and ruler magnification aids - available at all branch libraries. Leitrim County Library Service also supplies portable optical equipment for lending, which includes Quicklook Zooms and New Reading Pens. There is a sensory panel in the children’s section of Ballinamore Library. The purpose of this panel is to challenge the cognitive and sensory functions of your child and offer an opportunity for parents and children to interact. There is a Sensory Room in Mohill Library. This room is for children with special needs or developmental delay. A parent or carer can book the room for half an hour or an hour during library opening hours. You must register first to use the room and must supply a letter from your GP and or therapist to say the room will benefit your child within six months of registration. The use of the room is free. It will be advisable to get guidance on how to use the room from your child’s therapist to make the best use of the equipment. Wheelchairs are available for use in the following branch libraries: Ballinamore, Carrick on Shannon, Kiltyclogher and Mohill. Ballinamore library holds a collection of books in other languages. You can access the following online services at your local library or from your home computer.